What is Degenerative Disc Disease and how can you to get relief for degenerative disc disease? Degenerative disc disease is an age-related condition caused by gradual dysfunction?(?) of the spinal discs that lie between the bones of the spine. These fluid-filled intervertebral discs act as shock absorbers that prevent the bones from grating against each other during any movement. With age the discs begin to dry out and do not absorb shocks as efficiently, resulting in back pain. This condition can have a profound impact on your quality of life. Activities that used to be enjoyable are now uncomfortable, and they pain can prevent you from living a full life the way you should. After conducting a thorough physical examination and confirming the diagnosis, your pain doctor in New York may recommend conservative, minimally invasive, or surgical treatment for you. Most pain specialists recommend starting with conservative treatment for degenerative disc disease, then suggest minimally invasive intervention. A qualified pain doctor will work hard to help you avoid surgery and addictive pain medication. These medications, which include ibuprofen and naproxen act as anti-inflammatories and reduce swelling and discomfort. Muscle Relaxants. These – have a mild sedative effect and alleviate pain caused by muscle spasms. Oral Steroids – powerful anti-inflammatory that is usually only prescribed for a short period of time to reduce severe pain during flare-ups. Narcotic Pain Medications – offer effective relief from severe episodes of pain and usually only prescribed for short periods as they can be addictive. Depending on your unique symptoms and general health, your pain doctor may also prescribe topical pain relievers or prescription drugs. Heat and ice applications are both equally effective at reducing the pain of degenerative disc. Heat application helps to improve mobility by easing muscle spasms and tension. It is most effective when used to relax the muscles before engaging in any physical activity. Ice packs help to soothe inflammation and alleviate pain. They are best used to minimize inflammation after engaging in any physical activity. Massage therapy offers relief for degenerative disc disease by improving circulation, increasing flexibility, reducing pressure on the spine, and providing oxygen to tense muscles. It is most important that massage therapy is performed by a qualified practitioner. A combination of controlled stretching, strengthening and low-impact aerobic exercises offers several benefits that work together to ease back pain. It is always advisable to consult with a pain doctor in New Jersey before embarking on any exercise program for back pain. Your doctor will develop an exercise regimen that is tailored for your overall health and level of pain. Being overweight can put tremendous stress on the muscles and ligaments of your lower back, accelerating the onset of degenerative disc disease. Losing weight reduces the stress on these muscles and ligaments, slowing down the progression of the condition and alleviating back pain. You daily activities play a huge role in the onset and progression of degenerative disc disease. Practicing proper lifting techniques, taking regular breaks from repetitive movements, and avoiding sitting or standing for a long period of time are little changes that can do a lot to take the pressure off your lower back and ease back pain. Smoking impedes the flow of oxygen and nutrients to the discs, muscles, ligaments, and joints of the spine, resulting in early deterioration. Pain doctors recommend quitting smoking to improve blood circulation and accelerate healing. A back brace supports your spine by limiting motion. While this is very effective at reducing episodic flare-ups, a pain doctor will always caution against using a back brace constantly as it may eventually weaken the back muscles over the long term. A steroid injection administered in the space surrounding the spine soothes inflammation at the site, providing immediate relief for degenerative disc disease. An epidural steroid injection administered by a qualified pain specialist may offer relief for anywhere from a few weeks to a few months or even a year. The most common symptom of degenerative disc disease is a dull, continuous pain in the lower back with occasional flare-ups during which the pain intensifies. The flare-ups may last from a few days to a few weeks before returning to earlier moderate levels. Conservative treatment for degenerative disc diseases focuses on stabilizing the spine, minimizing pain, and maintaining mobility. Depending on your overall health, symptoms and other factors, your pain doctor in NY may prescribe a combination of approaches. Interventional Treatment is used when conservative treatment has failed, or when you are in significant pain and need relief right away. If you are experiencing any of the symptoms of degenerative disc, it is important not to self-diagnose or self-medicate as you may overlook some other health condition. To get relief for degenerative disc disease, you must first visit a pain treatment clinic to get an accurate diagnosis by an experienced pain doctor. The type of doctor you see can influence the type of treatment you receive. A primary care physician may recommend conservative therapy, even when you are in severe pain. A surgeon often recommends surgery, even if it can be avoided. A pain physician usually is more experienced and flexible, and can offer options that will help you get complete relief but still avoid a surgical procedure. 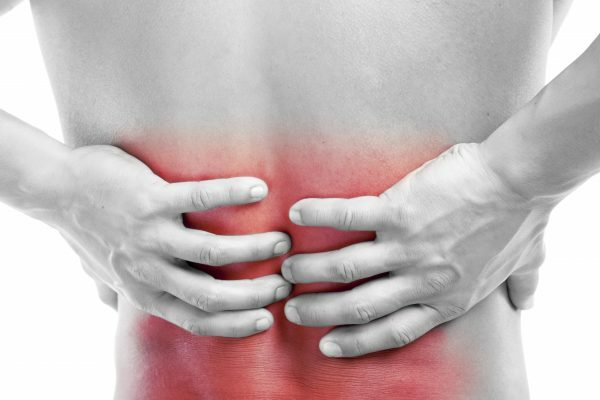 To correctly pinpoint the source of your back pain, your pain doctor in NJ will perform a complete physical examination and also order a series of diagnostic tests. They will then recommend a treatment plan based on the diagnosis and your specific symptoms. At VIP Medical Group you will find a highly experienced team of compassionate, patient-focused pain specialists that have undergone extensive training in pain management techniques. Call VIP Medical Group to get effective relief for degenerative disc so you can get back to enjoying all of your favorite activities as quickly as possible.